Whether you're an established restaurant owner, or you're dreaming of opening your ideal restaurant, it's nice to look at what others are doing in the industry. It can inspire us when making our own business decisions. Plus it's kinda fun. There are some really creative menu ideas to be found on the web! 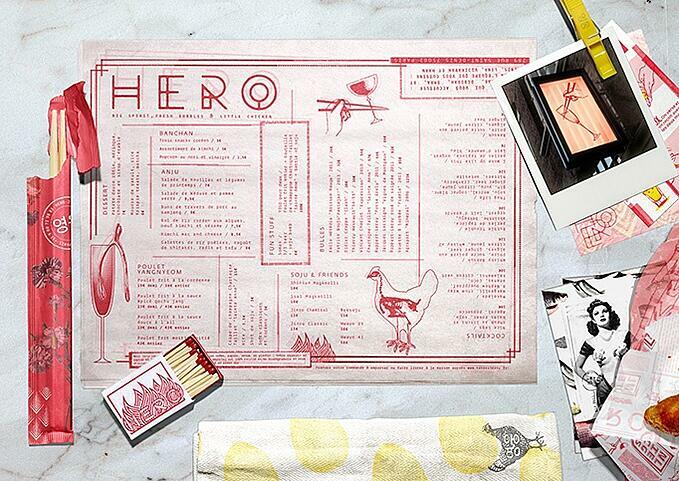 And the thing is, menu design isn't trivial at all. A well structured menu can seriously increase your profits. That's why menu engineering is a science in itself that restaurant owners and managers are well off to master. But let's start with the fun part first: looking at beautiful designs. 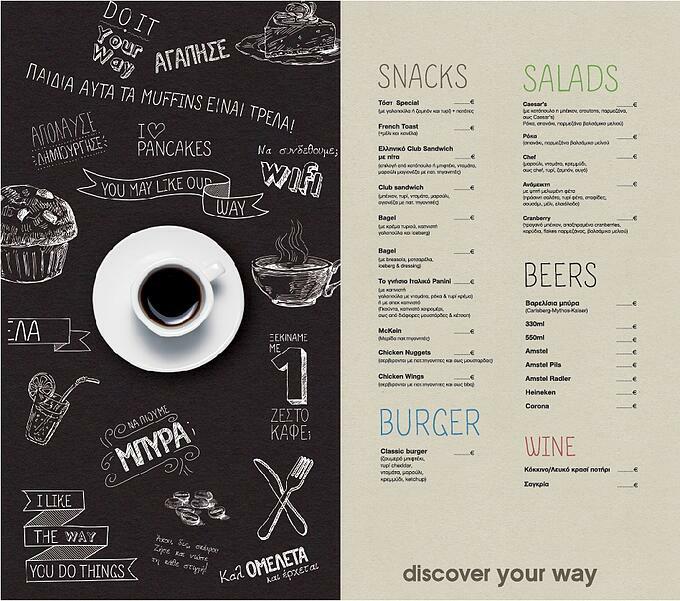 I've gathered up a list of the best menu designs that will make you want to change your menu right now. Discover Your Way is a cafe inside a bookstore, which in itself is pretty awesome. I just love how they've combined the old chalkboard look with colorful photos of food and illustrations. It's fun, relevant and the menu still looks super clean. Bonus points for working their social media link in there as well! You don't have to turn to Google to find out this restaurant's cuisine – everything about the menu just screams Japanese. 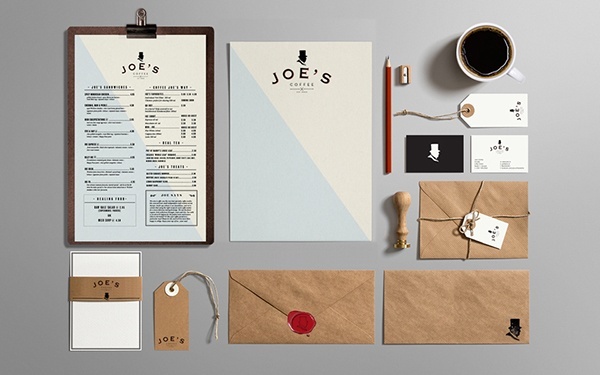 The simple typeface, the logo, the way the menu is rolled up (how clever!) and the pictures of sushi that are oh-so pretty. I want to dive right in. Can we get a big 'unf' for this menu? 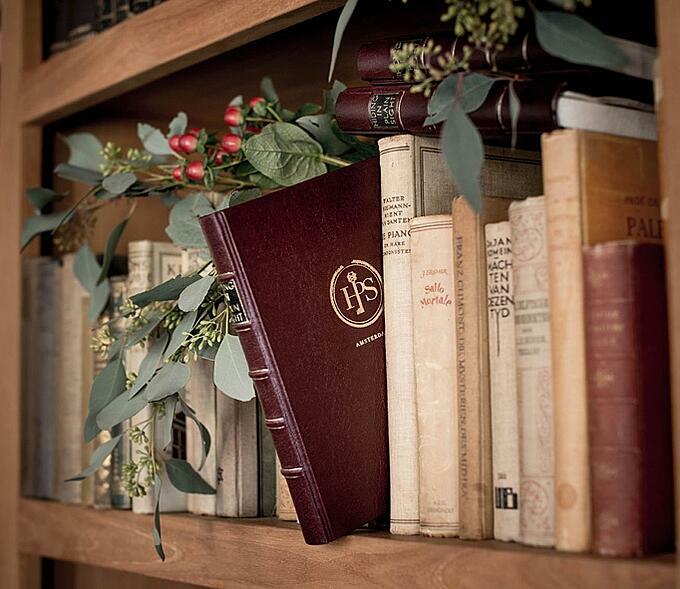 It wouldn't look out of place on a bookshelf next to some classic literature. 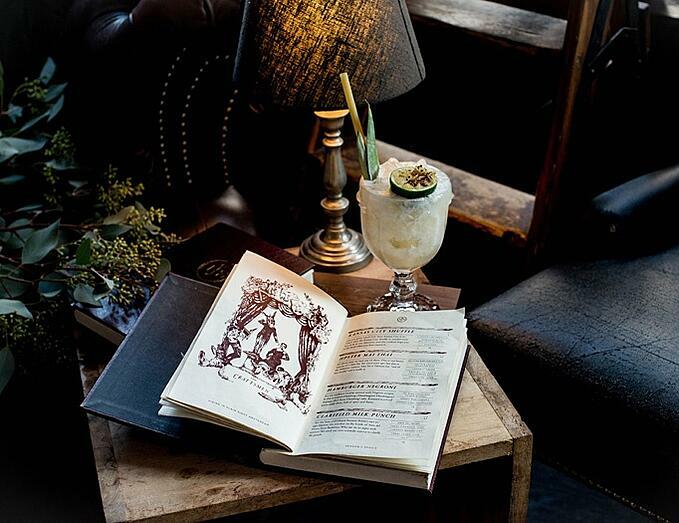 Leather-bound, beautiful whimsical illustrations and even poems make this menu sit at the top. You know you're in for a luxury experience at this cocktail bar. 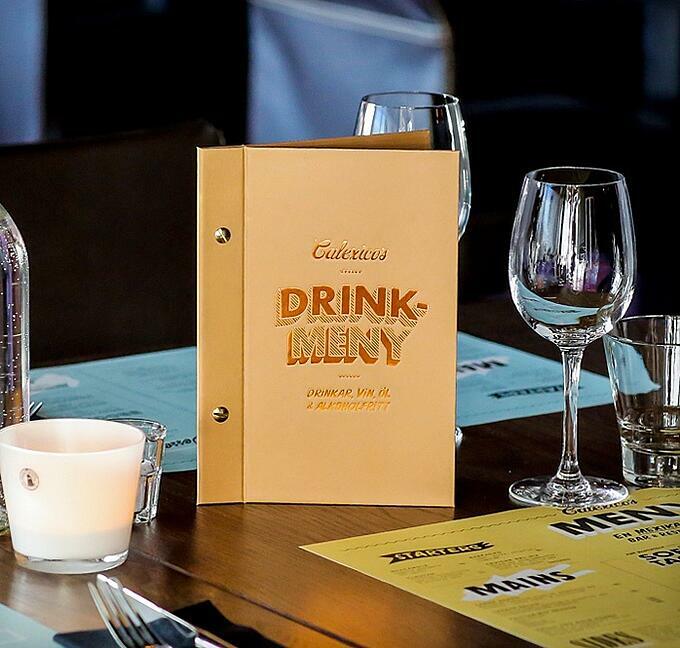 Instead of rushing guests for their meal order, why not let them have some fun with the menu? 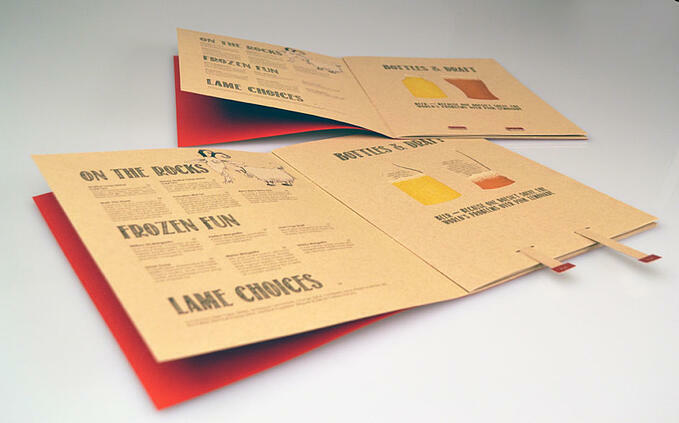 That's what Elle Benway did with the menu that she designed for Ruckuses. 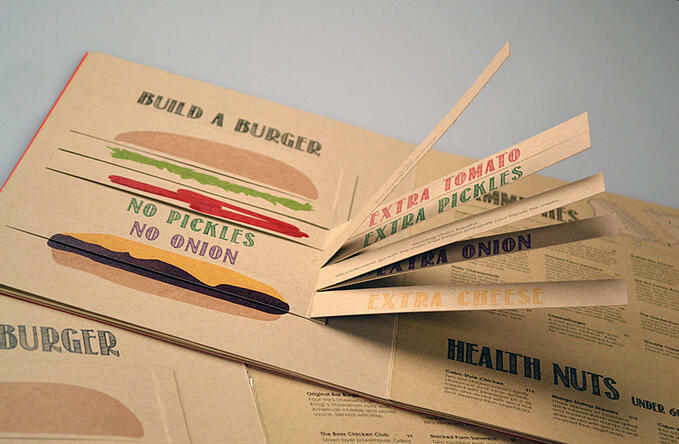 It looks like an old school pop-up book, but one for adults that gets you burgers or beers. Notice how the copywriting sets the branding for this restaurant as well – the soft drinks are hilariously titled 'Lame choices'. 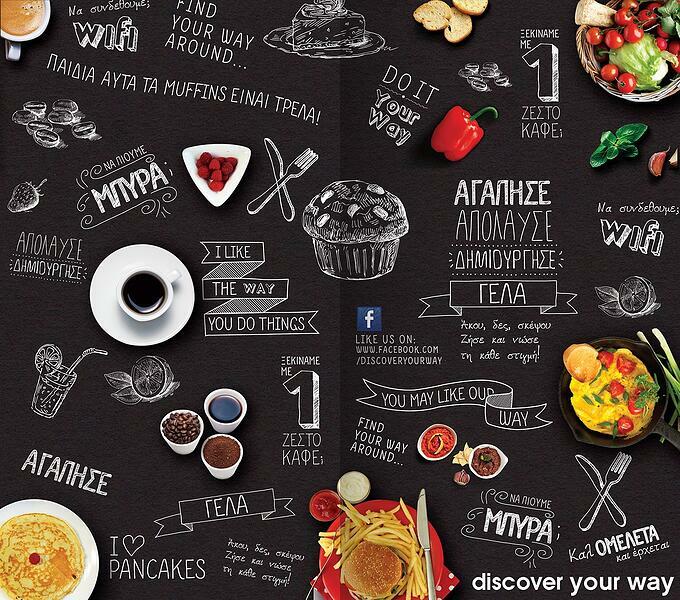 This menu design is a winner. 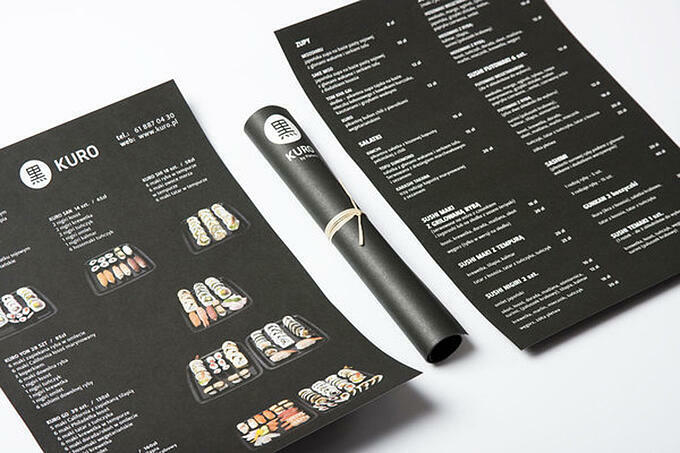 This Maison O menu shows that Japanese cuisine doesn't have to be dressed up in a traditional kimono. You can actually be quite modern with it! 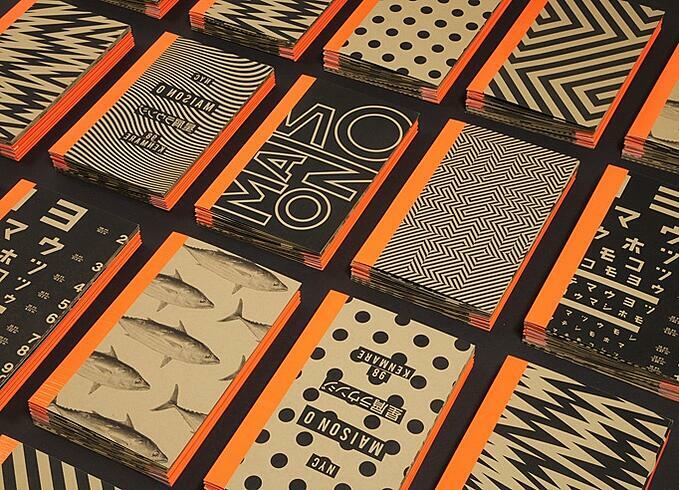 Brilliant use of black and white with a bright orange accent. How funkayyy. 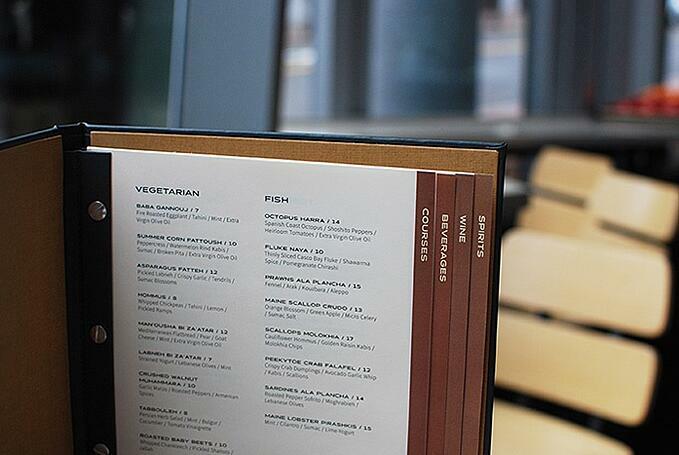 Be honest – how badly do you want to stroke this menu? And grow a moustache and drink whiskey? 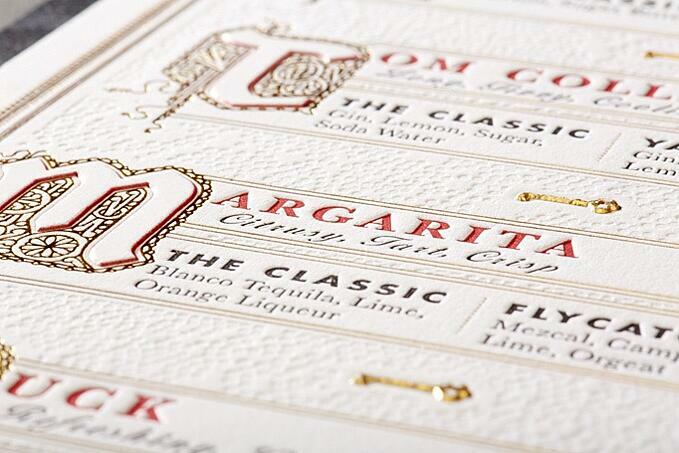 High quality paper, brilliant use of gold and well-crafted lettering... If menus could be knighted, I think we'd all be calling this Noble Experiment beverage list 'Sir'. Why eat Kentucky fried chicken when you can have Korean fried chicken? It's about a million times tastier, and the restaurants have character. Hero in Paris made sure they fit that bill. They matched the one colour they've used on their menu to their hot sauce. 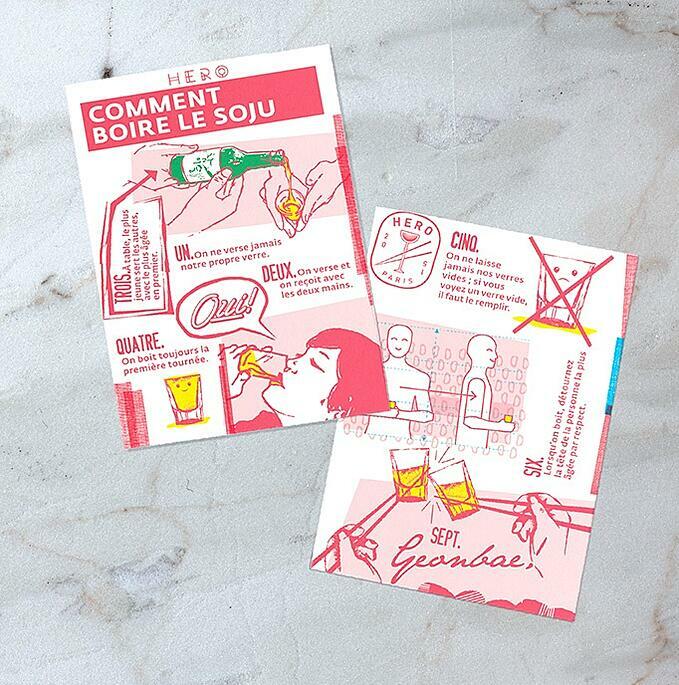 And they've gone and designed a how-to-drink-Soju card too. Hero indeed. This menu really isn't all that detailed – it's just a white background with a brown side border. But it works so well. It shows that you don't need gold lettering or busy illustrations to make your food sing. 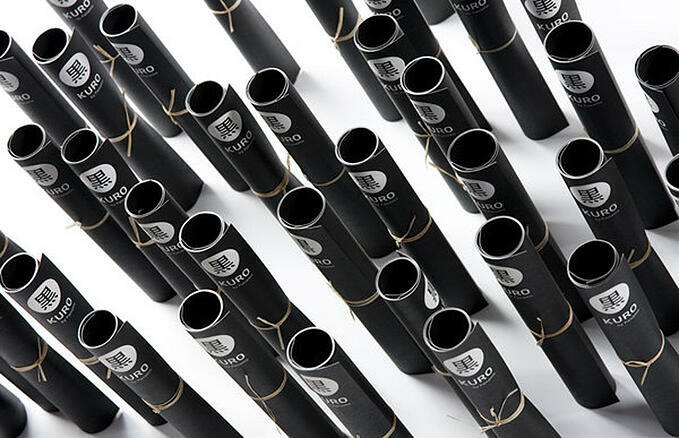 If it suits your brand, perhaps just take a minimalist approach instead. And by investing in a sleeve, you can easily adjust your menu prices. Hat tip to you, EVO. Here's more proof that simple menu sometimes works best. 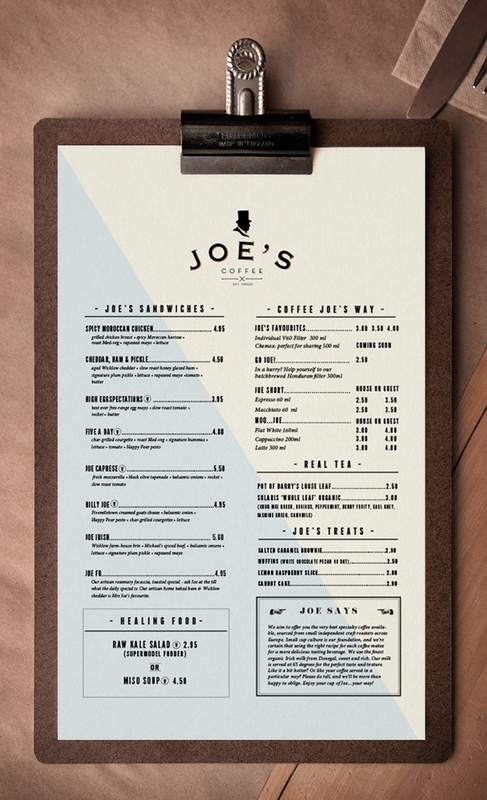 I love the branding for Joe's because the gentleman in the logo is the man who's said to have inspired the phrase 'a cup of Joe'. Clipboards have become pretty common with hip cafes, for good reason. 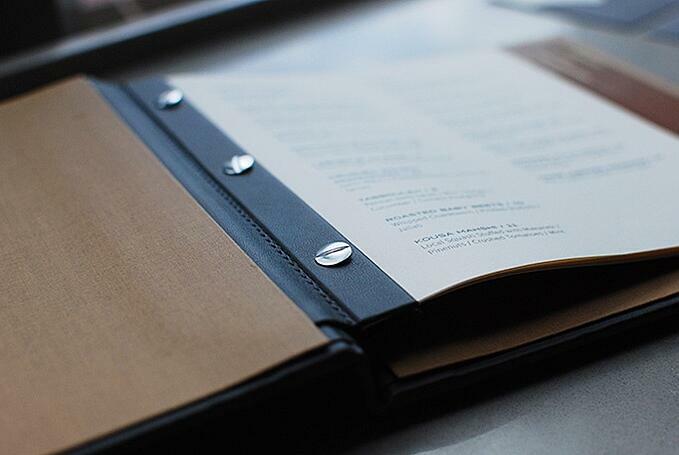 It's a cheap way to make your menus look more expensive, while keeping it recyclable to account for price changes. Thumbs up to Joe's. 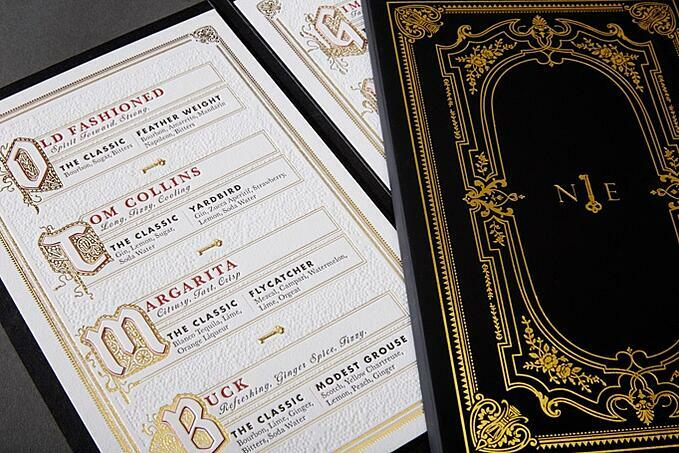 Speaking of boards, how clever is this menu for Mr Brown? Making pictures of food look good can be tricky, but in this case, I'm glad they went for it, because how yummy do those sandwiches and burgers look? And then the menus function as a decoration piece in the restaurant. Yay, colors! Bright, bold and daring colors! A three-panel menu card; check. Pretty drinks list; check. 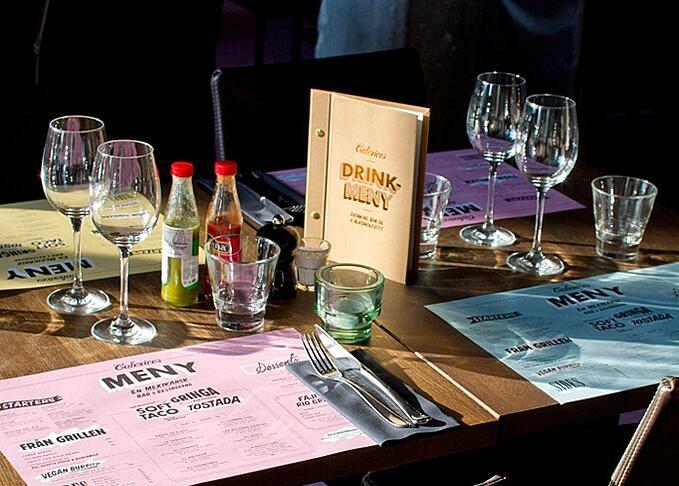 Standout headers; check.This menu ticks all the boxes! Now where's my taco?